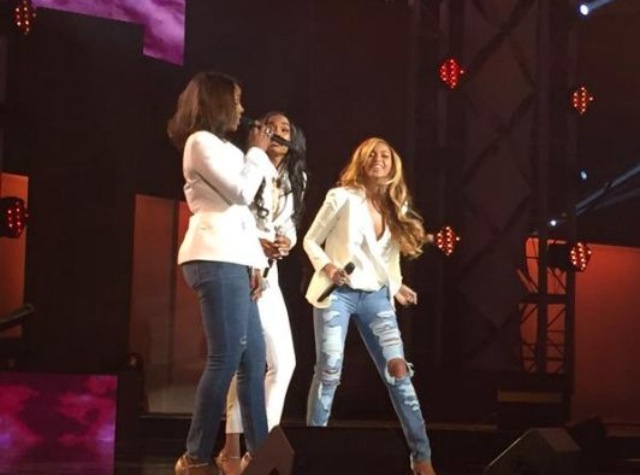 "Destiny Child" reunite at the 30th annual "Stellar Gospel Music Awards"
This past Saturday, March, 28th, at the Orleans Arena in Las Vegas, Nevada, The "30th Annual Stellar Gospel Music Awards" opened the show with Female R&B group [Destiny's Child], Yes I said "Destinys Child" uniting on stage again, and last time was their halftime appearance for the Super Bowl XLVII’s in 2013! [Michelle Williams], Star of the night, picked up an award for Music Video of the Year. for her song, "Say Yes" Which [Beyonce] and [Kelly Rowland] help collaborate in 2014. The ladies no longer going by the name we all loved them for, but instead representing themselves as individual artists. Performing "Michelle's" hit song, The crowds response was all love! the group Splitting in 2005 to achieve individual careers! Many don't know [Michelle Williams] came out with a Christian album first in 2002 solo album "Heart to Yours," [Beyoncé] , released her solo album" "Dangerously in Love" in 2003, [Kelly Rowland] releases her solo album in the same year "Simply Deep". All three of the ladies making several hit albums as solo artist, there's no shade here, they still love each other like sisters! Be sure to catch the full show airing Easter Sunday (April 5th) on TV One. Will the ladies ever come back and make another album for the fans??? Well Durttyz I'm definitely hoping so! Blessing's to each one these Beautiful & Talented Ladies!